Carl Hartman, M.D., F.A.C.S. (known as “Dr. Carl”) joined his father, Dr. Ronald Hartman, and Dr. Larry Pasquali in practice in 1990. He is board certified as a Diplomate of the American Board of Ophthalmology, a Fellow of the American College of Surgeons, a Fellow of the American Academy of Ophthalmology, and a clinical professor of Ophthalmology at the University of California, Irvine. Dr. Carl’s extensive refractive and cataract surgery credentials include certification in LASIK, PRK, PRKa, PTK, RK, AK, clear corneal sutureless lensectomy, and corneal transplantation, as well as the latest accommodating, multifocal and toric intraocular lenses. He is also certified in the newest WaveFront and IntraLASIK laser vision correction procedures. Thousands of patients, including many fellow physicians, surgeons, community leaders, and family members (including his wife and brother) have chosen Dr. Carl to perform their surgery. Outside the SoCal Eye practice, Dr. Carl Hartman currently serves as an expert in ophthalmology for the state of California. As a designated expert, his testimony and opinions are used to regulate ophthalmologists within the state, often with regards to refractive surgery. At the federal level, Dr. Carl has helped establish national benchmarks for ophthalmic standard of care as it pertains to the U.S. Medicare system. At the local level, his leadership responsibilities have included being chief of staff and chairman of the department of surgery at Lakewood Regional Medical Center, as well as a member of the medical executive committee at Los Alamitos Medical Center. Dr. Carl Hartman is one of only three surgeons selected by the California Optometric Laser Associates to work with optometrists throughout Southern California to establish higher standards of care in the co-management of laser vision correction patients. 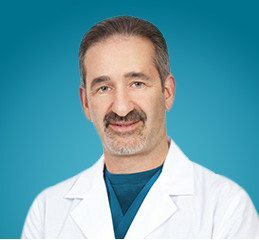 Other honors include being named a “Physician of Excellence” by the Orange County Medical Association, “Best Ophthalmologist” by the Long Beach Press-Telegram Reader’s Choice Survey, a “Top Physician” by U.S. News and World Report, and one of “Southern California’s Best Physicians” as chosen by his peers. But, in Dr. Carl’s view, teaching others is the ultimate honor. He lectures and teaches ophthalmologic surgery and neuro-ophthalmology to other physicians, and actively proctors newly trained surgeons at a number of institutions. A particular source of pride for Dr. Carl Hartman is winning the “Outstanding Teaching Professor of the Year” award four times at the University of California, Irvine. As both a clinical investigator and co-author, he also maintains an active role in research. Dr. Carl grew up locally and is a graduate of Lakewood High School. He attended the University of Southern California, graduating with honors with a Bachelor of Science in Biological Sciences. In 1982, Dr. Carl Hartman moved to Chicago, where he received his Doctor of Medicine from Chicago Medical School. In 1987, he completed a full Internal Medicine internship at the University of California, Irvine. It was here that Dr. Carl also completed his residency in ophthalmology, and served as chief resident during his final year. He passed the boards in ophthalmology with honors immediately thereafter, and accepted a position on the university’s clinical staff. Married to wife Elise since 1987, Dr. Carl enjoys family, friends, music, sports, and tropical gardening (he propagates and grows over 200 species of palms and cycads). Aside from his gardens, which have been featured in Sunset Magazine, his number one pride and joy is daughter Shelby. Dr. Carl holds a black belt in Hapkido and is a tri-athlete who also plays tennis, scuba dives, and does extreme downhill skiing. As a musician, he plays trombone in several local ensembles. Ophthalmology Residency with training in Corneal Transplantation, under Chairman Richard Keates, M.D. Corneal Transplantation and Refractive Surgery Techniques, Max Fine, M.D. Corneal and Refractive Surgery Course, Herbert Kaufman, M.D. Keratorefractive Surgery and Certification, Miles Friedlander, M.D. Advanced Refractive Surgery and Astigmatism Update and Recertification in Modern Refractive Surgery Techniques, Lee Nordan, M.D. C-LASIK: Lamellar Refractive Surgery Certification, Stephen G. Slade, M.D. LASIK and Hansatome Certification, Stephen G. Slade, M.D. Many ongoing lectures to fellow physicians, medical staffs, resident physicians, medical students, as well as philanthropies and community organizations. – How To Plant A Palm While Preserving It’s Roots AND Your Back! One of a select few surgeons chosen by the California Optometric Laser Associates (COLA) to work with optometrists throughout Southern California to establish higher standards of care in the co-management of laser vision correction patients.